For a while now, the beacons on 4m and 70cm have had sub-optimal antenna systems. We decided to install new Big-Wheel antennas for both bands, as an experiment. The “Big Wheel” is a horizontally polarized omni-directional antenna. 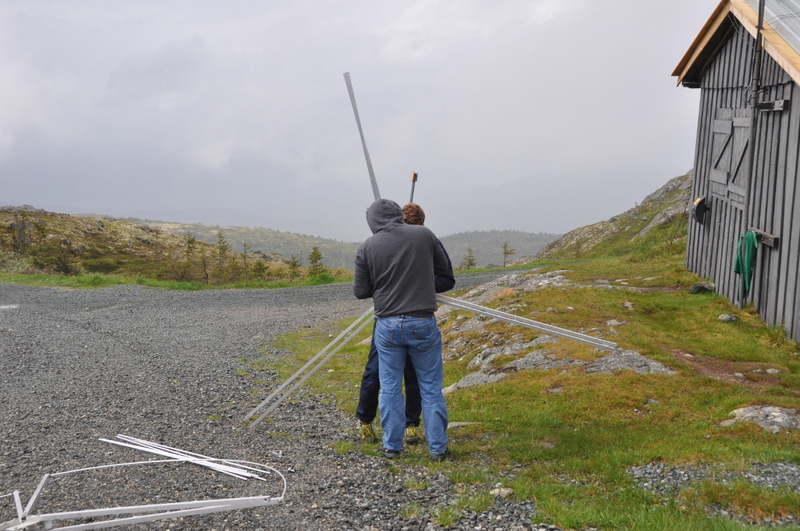 The installation was performed in typical Norwegian summer weather – rain and wind. 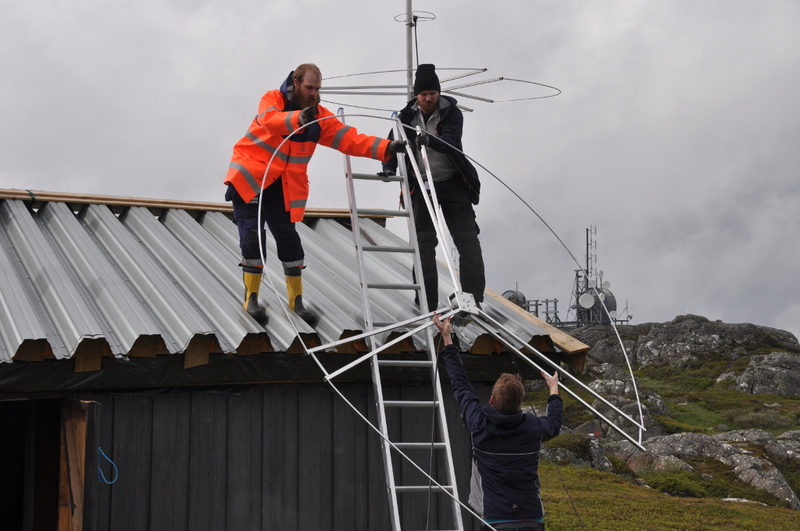 In addition to the 70 cm and 4 m Big Wheel antennas, we put up a 6 m version as well. We don’t currently have a beacon license for 50 MHz, but since there has been allocated a new beacon segment above 50.400 MHz, there might be room for us there. Stay tuned – perhaps LA2VHF will show up on 50.463 some day. 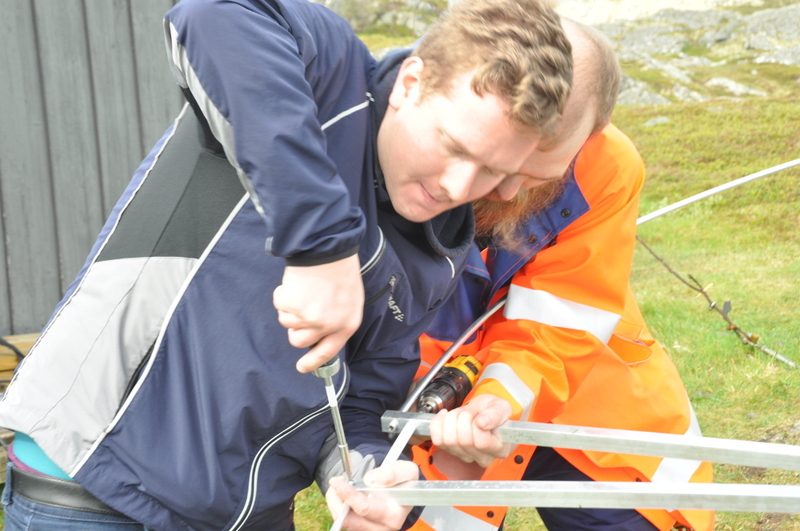 Final adjustment on the 6m Big Wheel. 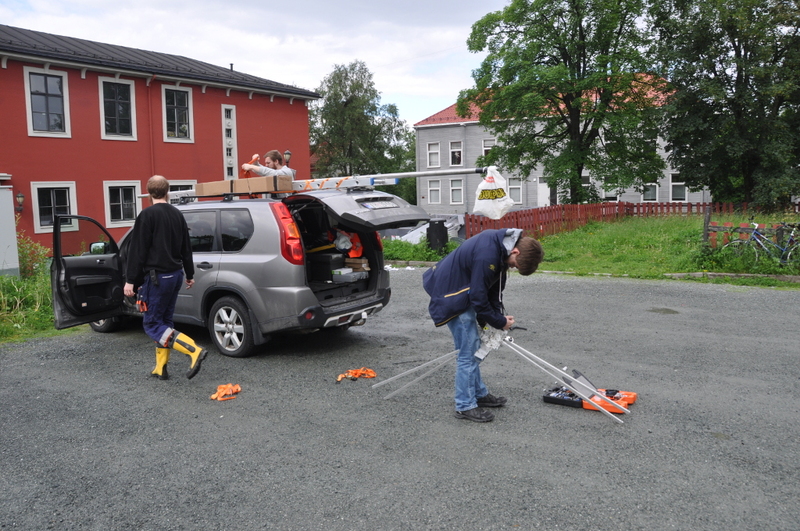 Arne (LB7JG) and Øystein (LB7IG) in intense competition – manual or electric? 6 m and 70 cm big wheels were bought from Wimo. The 70 cm version is a very neat design that comes pre-assembled. Some assembly is required for the 6 m version. We had a lot of trouble getting the aluminum tubes to fit inside the square aluminum pieces. In the end we had to file the tips so that they would fit. If you are planning to build this antenna, make sure to have some lubricant and proper tools at hand. For 4 m there are no commercial designs. Our solution is a custom design based on the build notes OE5MPL and OE5VRL provide on 70MHz.org. If you hear any of the beacons we would love to hear about it at LA2VHF or LA2UHF @ la1k.no.